In Valhalla, fallen warriors led by the Valkyries fight alongside Odin and feast with Freyja for all eternity. Nothing is more glorious to a fallen Viking warrior than entering the halls of Valhalla. At Odin’s side and in Freyja’s field, death doesn’t seem so bad. 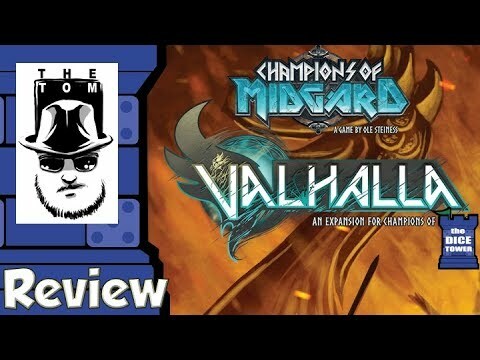 In this expansion for Champions of Midgard, players earn sacrifice tokens for the deaths of their warriors. These sacrifices turn into opportunities for the living in the form of powerful blessings and stronger warriors ready to join your clan and aid you in your quest for glory! By defeating epic monsters in the afterlife and using the blessings of the Valkyrie, you will discover even more ways to gain glory in Midgard.